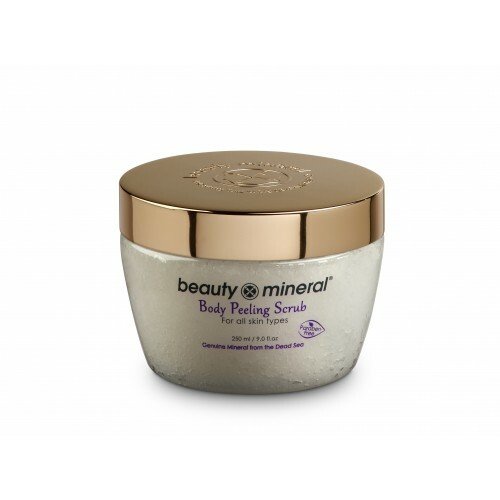 Beauty Mineral Body peeling Scrub is rich in natural salt and minerals from the Dead Sea . These special ingredients cleanse the skin of excess dirt, revitalizing while nourishing and replenishing it with vital nutrients. It leaves your skin soft and silky. 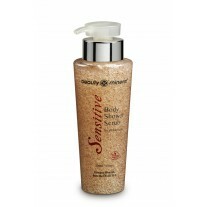 Beauty Mineral Body peeling Scrub is rich in natural salt and minerals from the Dead Sea and Aromatic Oils. These special ingredients cleanse the skin of excess dirt, revitalizing while nourishing and replenishing it with vital nutrients. Circulation is accelerated as is the process of natural regeneration. It leaves your skin soft and silky. Directions: Gently massage your body with body peeling scrub on wet skin. Rinse with lukewarm water. I hear a lot of good things about these particular ingredients so was excited to try. It doesn't strip my sensitive skin. Have been using it for a few months and still have a lot of product left. Using it two or three times a week. Would definitely recommend. A useful cosmetic ingredient used for damaged and stressed tissues, has regenerative and restructuring virtues which allow a better control of skin moisturization. It can help skin retain the normal structure of epithelium cells and nerve cells via supporting the cell membranes. It is noted to be especially effective for repair of the skin around the eyes. Grape seed oil can be very easily absorbed by the skin. 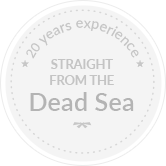 When applied on the skin, there are hardly any oil residues left. Also, this oil helps in tissue regeneration. Its ability to lock in the moisture and repair the tissues makes grape seed oil very useful and effective as a skin moisturizer.